for me anyway. Remember this post? I'm sure you haven't been losing sleep wondering about my "new" fragrance choice but I thought I'd share it. 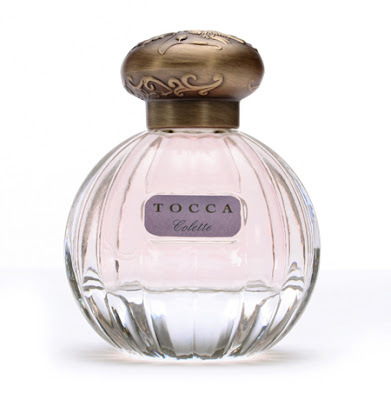 I purchased Tocca's Colette. It's Tocca's newest scent. It smells fresh, but slightly sweet + spicy. I also love their feminine bottles. My good friend just ran out and bought a bottle herself! I hope they come out with a body cream because the smell does fade over the course of the day! Looks like you made a great choice, ENJOY! I love perfume, I feel so feminine when I wear it. Oooh I'm needing a new scent for summer. So wish the computer was scratch and sniff! Will definitely have to find this to smell it. The bottle is gorgeous! I love Colette too! I hear they are coming out with a rich body cream in Colette in the Fall...I cannot wait for it!